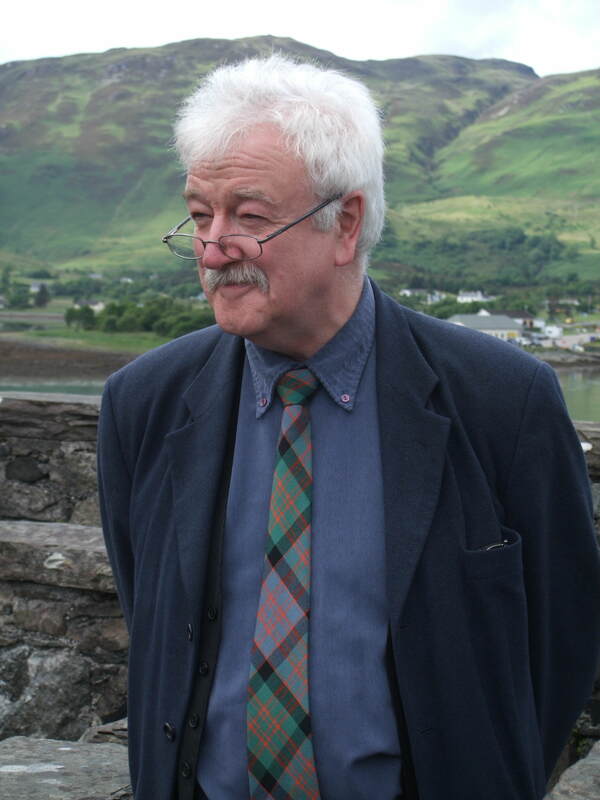 Okay, this is where I’ll post photos of the Eilean Donan team, each of whom contribute greatly to what we are today. Without the care, dedication and passion of each of them the visitor experience might be very different. I hate photos of myself, but guess I couldn’t really expect the rest of the crew to follow suit unless I put my own ugly mug up here! So here I am, enjoying one of my favourite pastimes! And here’s the Gift Shop girls, from left to right, Laura, Carol (Shop Manager), Grace, Brenda & Alice. Here’s Pam, our Administrator and Official Hider of the Stationary! 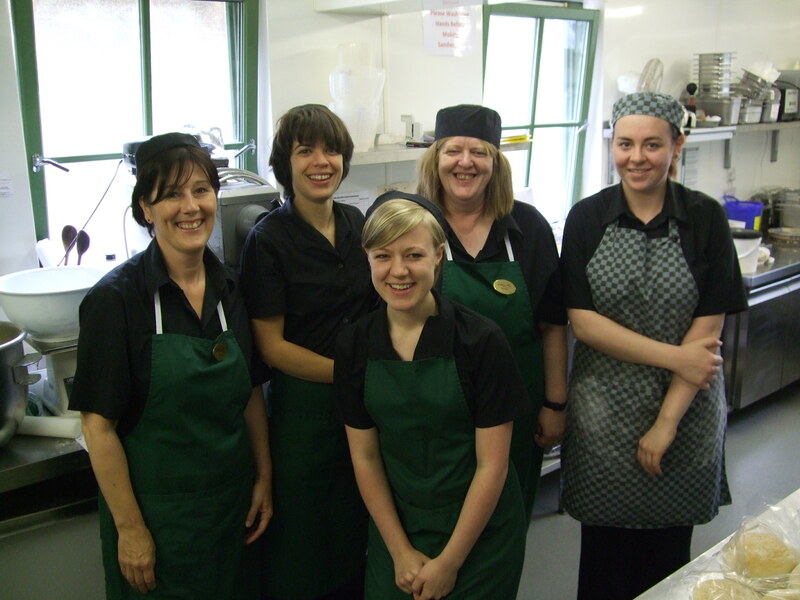 Five of our Coffee Shop team; from Left to Right – Mandy, Misha, Fiona, Maureen & Megan. Five of the Coffee Shop girlies! Two of “The Glen Belles”, Carol & Brenda from the Gift Shop. 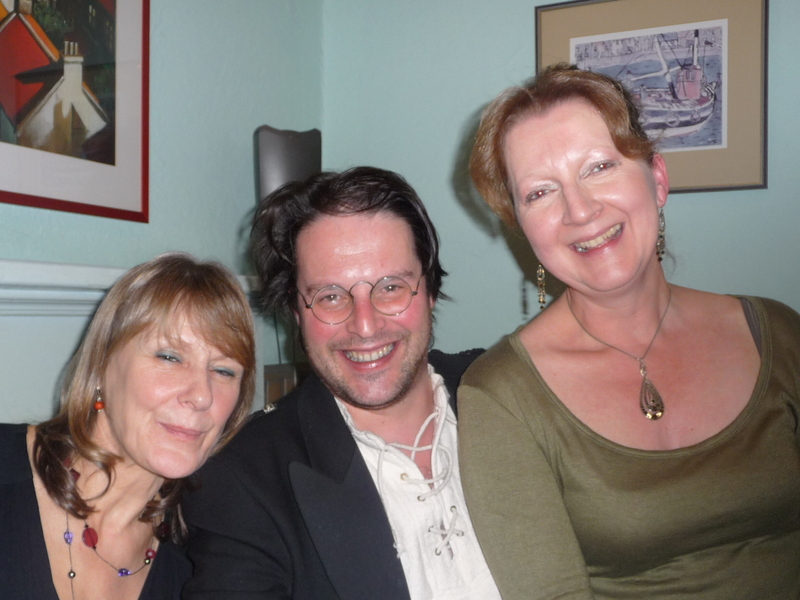 Three of our castles guides Irene, Alex and Wendy……. 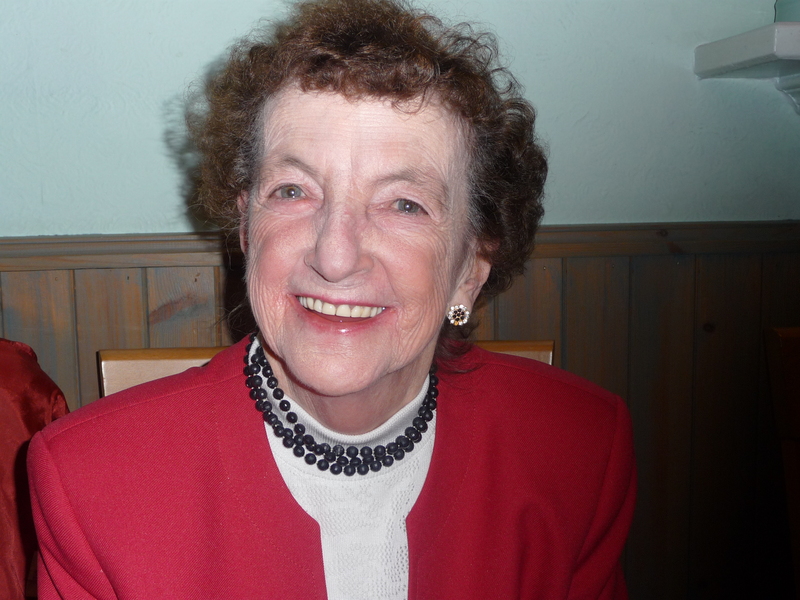 This is Margaret, our oldest member of the team, but she won’t let me tell you how old! She works in the ticket box after some 15 years as a castle guide. Don’t let her petite size fool you, she’s a wee firecracker! Wee Margaret fae the box! Another one of our guides, Alistair, a local man and a talented musician, currently learning to speak Spanish so he can chat with our Spanish visitors. Two of the Gift Shop girls now, firstly Mama Smurf herself, our April ! She’ll never be the quietest lassie in the team, but she’s got a wicked sense of humour! And this is Grace. Grace owns more underwear than Marks & Spencers! She’s the Amelda Marcos of bras apparently!!! Bubble from Ab Fab! You'll know what we mean when you hear her! 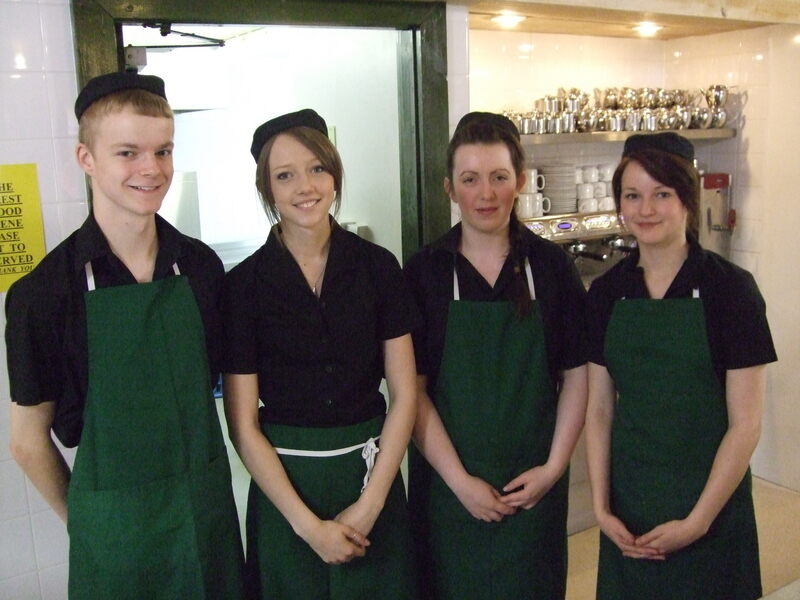 Some of the other Coffee Shop staff, Tom, Alice, Chloe and Sophie. Can you spot the twins? Just let me fix my hair before you take a photo said Alice! 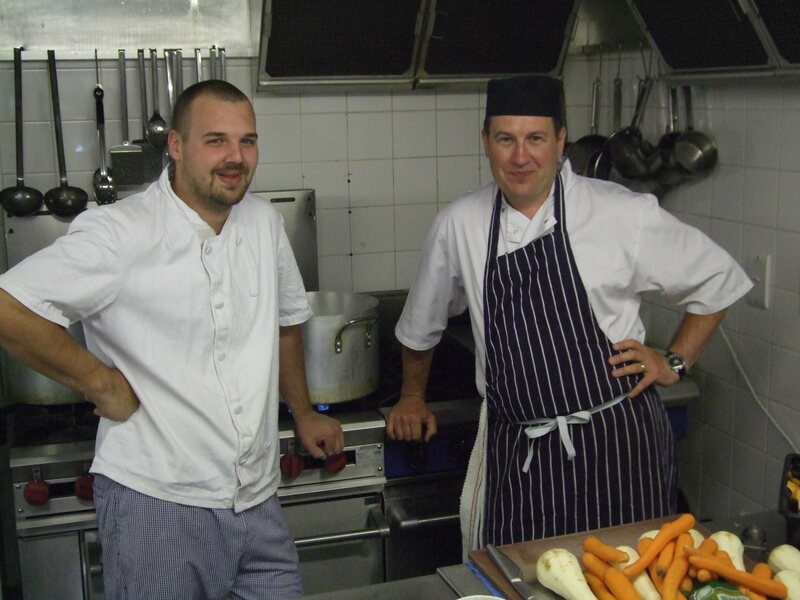 Antony (Sous Chef) & Craig (Catering Manager) the new boys in the team! 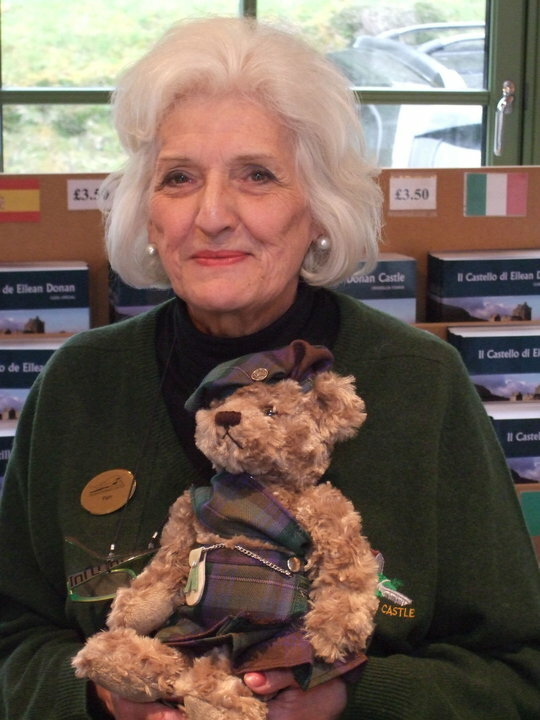 And this is our latest recruit in the Gift Shop, Tibby, who’s proved to be a BIG hit with the American boys recently! Tibby - the baby of the family! 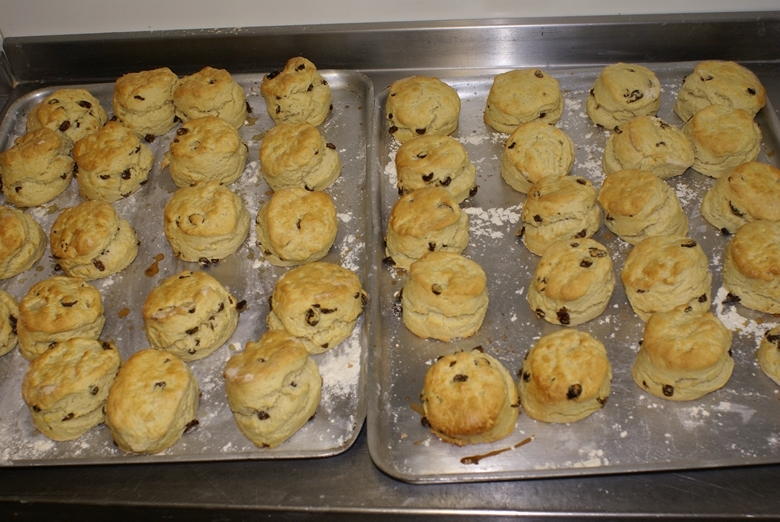 One of the most important jobs of the day at the start of each morning is baking the hundreds of fresh scones that are consumed in the coffee shop. 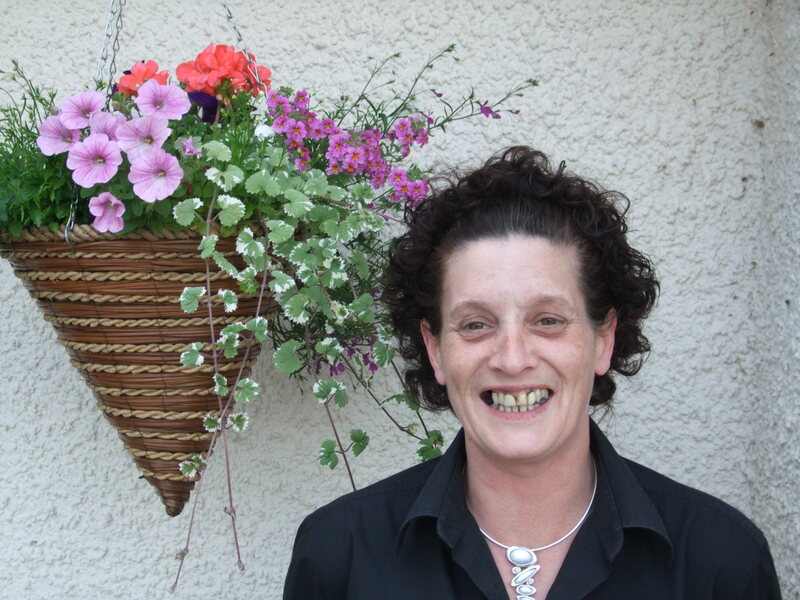 Meet our Fiona who bakes a mean scone! Our Fee, with the first batch of the day! I have really enjoyed the website and blog. We will be visiting Scotland in November and will be including a visit to the castle, however it looks like much of it will be closed for the season by the time we arrive. Okay Tom, I have a real EXCLUSIVE for you. For the first time ever, we are going to trial limited winter opening. We intend opening Tuesdays, Thursdays and Saturdays from 10.00am to 3.00pm, with guided tours every half hour. You’re the first to know! Discovered your blog via yahoo the other day and absolutely like it. Continue the good work. I was wondering what kind of items you have in the gift shop. My Uncle and Aunt are going there in November and I was going to ask them to bring something back from Eilean Donan. Hi Kimberly, we have quite literally thousands of different items in the gift shop. Is it Clan MacRae items you are interested in or something else? Ifyou could be a little more specific, I’ll try to help. We’re hoping to launch our on-line shop this winter. I bought some wonder ful tshirts there with the family crest. Do you still have them? 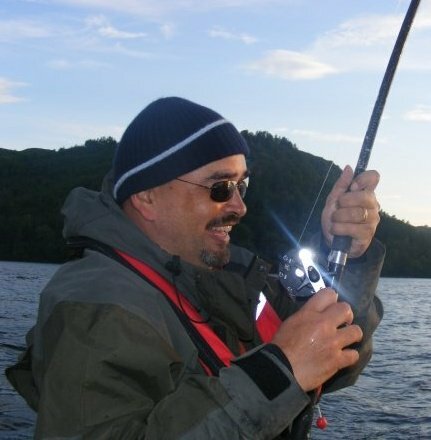 I was interested in a book of Eilean Donan Castle with photos of the entire castle. McRae items are also an interest. How much of the castle was left, when they started rebuilding? Debra, if you look back at one of my previous blog entries “Where to start” there’s a good quality photograph of what was left. I love this site! If you ever need a person who speaks English and Swedish fluently, let me know, I’d love to work for you! A great website you have here. If breathing long enough to visit Scotland, I’ll surely be at Eilean Donan. This site is the best. My family history has led me to Scotland, a place I want to relocate to…I look forward to finding out more about this beautiful place. 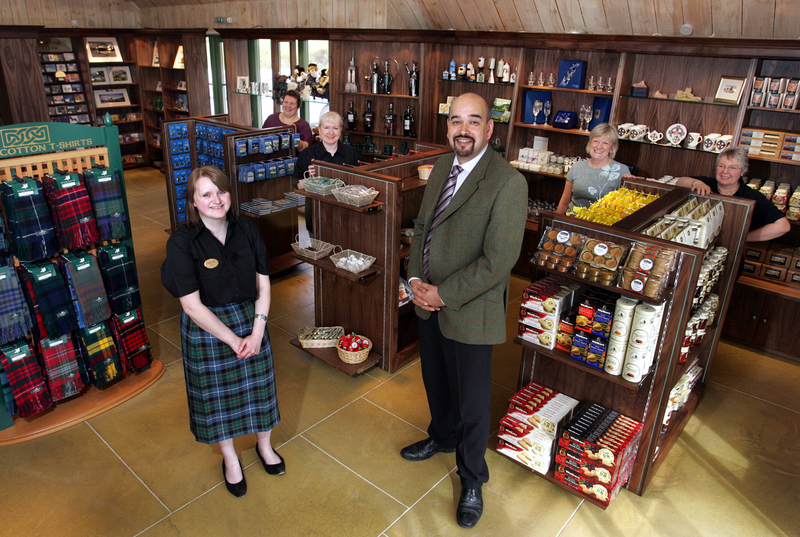 Having visited the Castle on a few occasions it is good to see the faces of the people who make it all happen. Do you have any photographic records of the restorations? My late father worked on-site for a time after being de-mobbed after WW1. Some of his extended family still reside in Dornie. He emigrated to S. Rhodesia in 1921 to join Farquar MacKay, who also hailed from Dornie or Kyle, who was gold mining in Que Que at the time. Hamish, I’ve come across some photos of the restoration and will shortly be placing them here on the blog, but I’ve got a feeling that they are after 1921. Just came upon your website and blog via the Scottish Tourist Board site. We are holidaying around Scotland in July, so shall be visiting you then. Look forward to a scone and a cup of tea. Awesome post – keep up the good work. Enjoying your site very much, will be visiting the castle in July, my McCrea ancestors came from Scotland and settled in Co.Down, Northern Ireland, haven’t been able to find out which part of Scotland they came from, hope to some day, really looking forward to seeing the castle. Hi Scott, I’m sorry, but we’ve experimented with a number of ways to reproduce the family tree, especially as a number of people have asked about it in the past. Part of the problem is that because the original document is so large, any reproduction into a remotely manageable size makes most of the small writing entirely illegible. I haven’t totally given up on it though and am hoping to scan it in sections if I can find a specialist to do it that won’t charge an arm and a leg! I have visited you twice now, the last time October 2010 there were archeological diggings going on. I would be interested to know what has been found and how far back anything can be dated. It is a beautiful site. Ann Weir (de Vere) Perth W.A. We got married at this beautiful castle in September 2003!! It is the most beautiful place. We now have 3 little one and would love to bring them all to visit one day. They have seen the video of the wedding. I have a September 1996 National Geographic magazine that has an article on Scotland. There is a beautiful photo of Eilean Donan Castle. It said the family, at that time, still lived in a wing of the castle, but I’m wondering if that’s still the case. Wondering if there are current photos of the family and what area of the castle they occupy, if so?